Tucano Urbano gear seems to help even the least fashionable and chubby motorcyclist (ie me) obtain a sense of style. 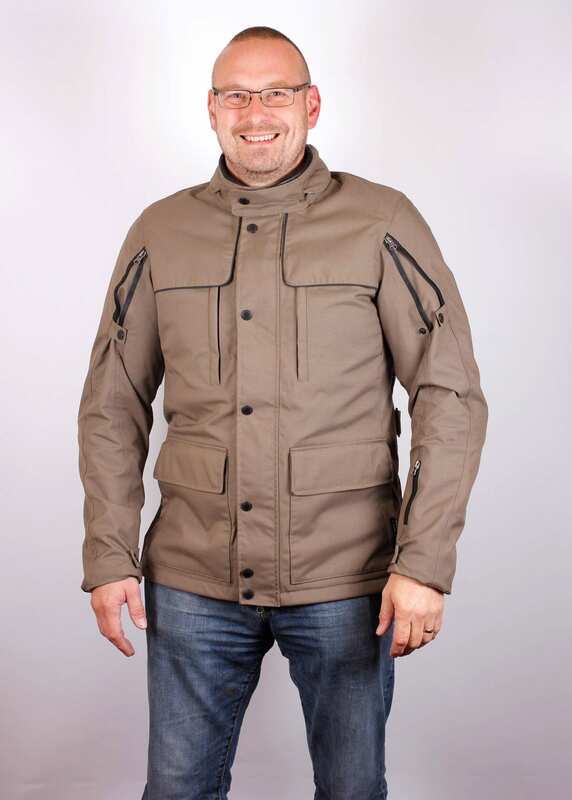 The Ermes is a slim fit, with removable CE Level 2 D3O armour in the elbows and shoulders. 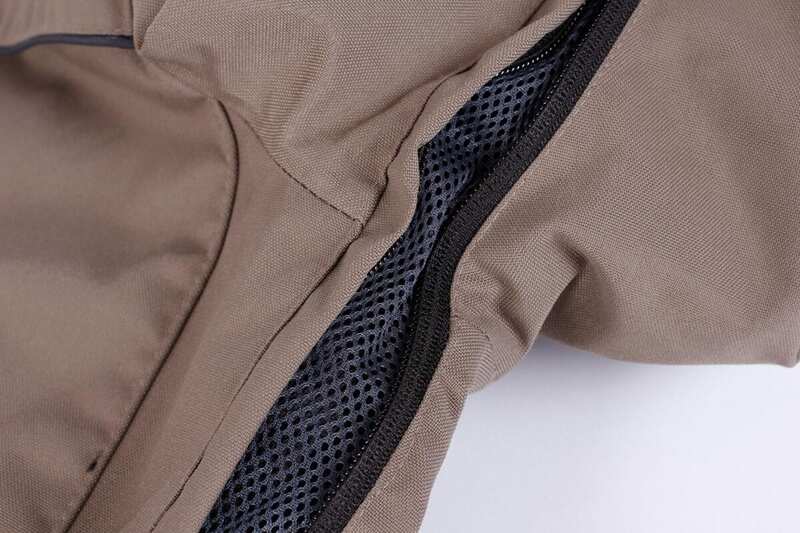 There’s an extra (removable) padded section for your lower back and kidneys, plus space for a back protector. It has some very nice touches, like the zipped, expanding sections around the hips and biceps, plus a full width zipped vent on the upper back, two on the chest and one under each armpit. Small reflective panels can be popped out from under the cuffs, but these tend to get hidden by your gloves. There’s also one tucked away around the softly padded collar, which is more useful. 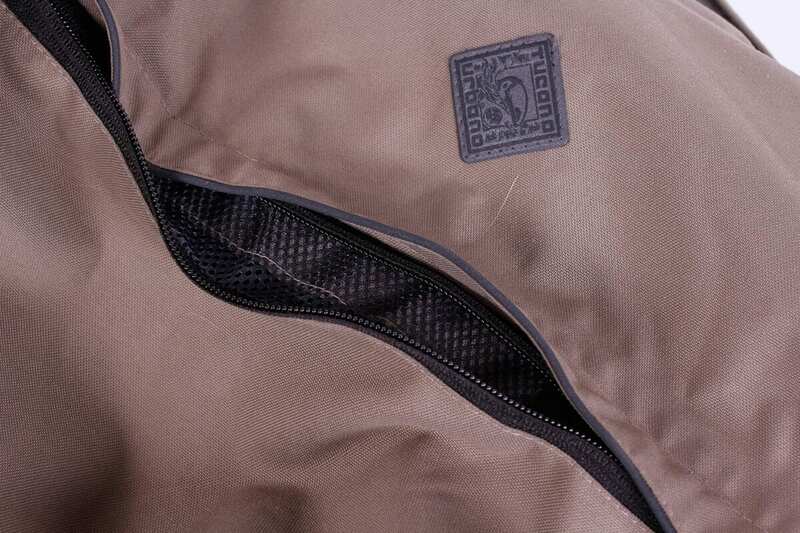 A strange strap is fitted across the inside back, apparently for carrying the jacket across the shoulder… This must be some continental style thing, but it’s easy to remove. 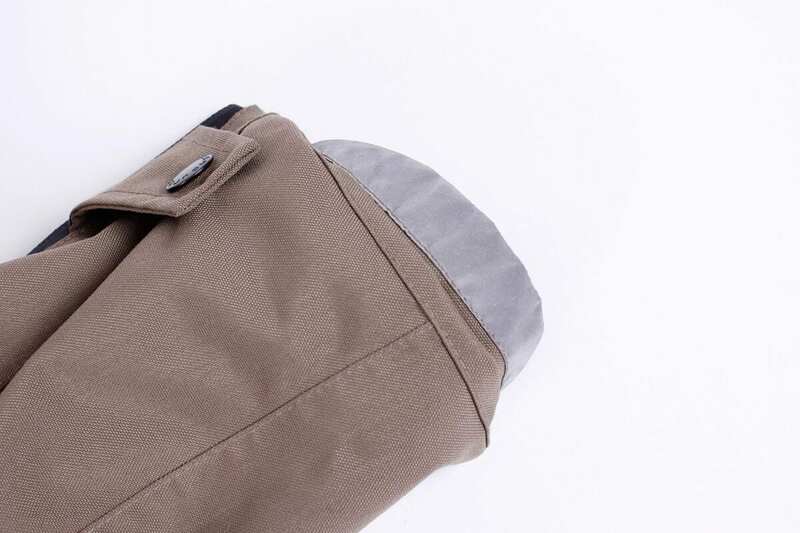 There’s one large zipped, and another large elasticated pocket inside – perfect for tucking your copy of MSL in – plus the two flap-covered pockets on the front and a water-resistant zipped one on the sleeve. 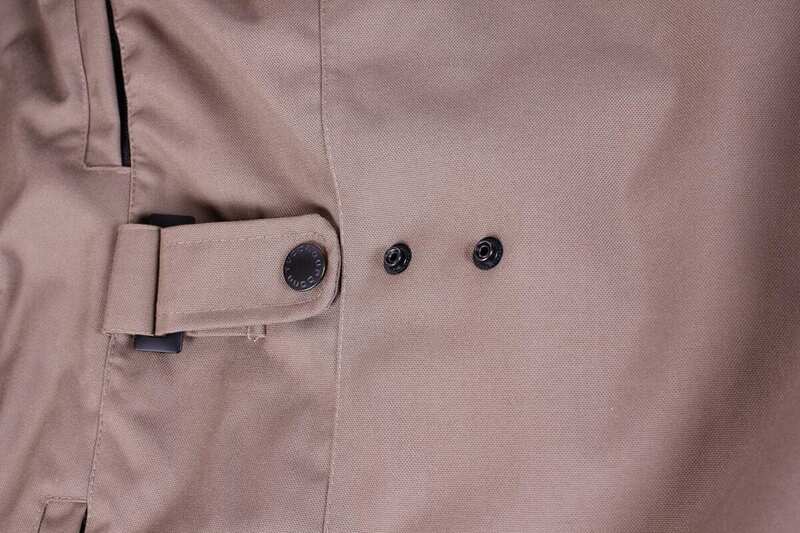 Combined with good waterproofing and a removable liner, it makes for a very practical jacket. I’ve ridden in heavy rain with this jacket, and while it’s not the warmest kit I’ve got, it did keep me totally dry. 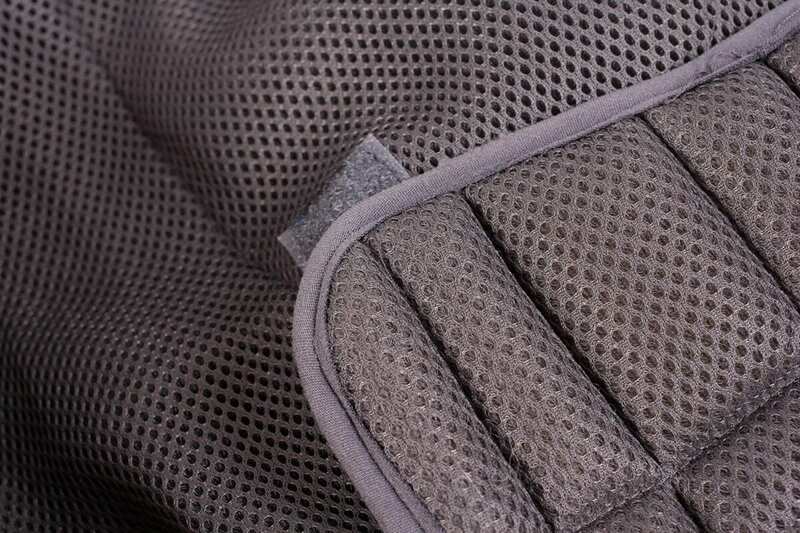 A 3D mesh liner prevents the inside getting sticky, and also traps air for insulation. However, as it doesn’t extend to the arms, these are noticeably slightly chillier in the wind when riding. 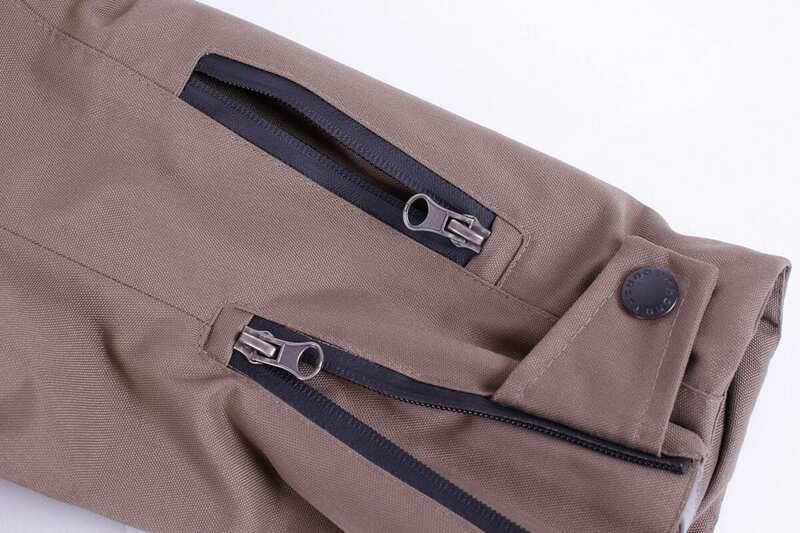 The Ermes is not an all-season garment, as the slim fit – for me at least – precludes too much layering, but as a lightweight, good-looking jacket, it’s fantastic for trips out, especially when I want to stop for lunch in the more trendy parts of town.